3 The Mining Frontier What led people out the Frontier? The possibility of riches. 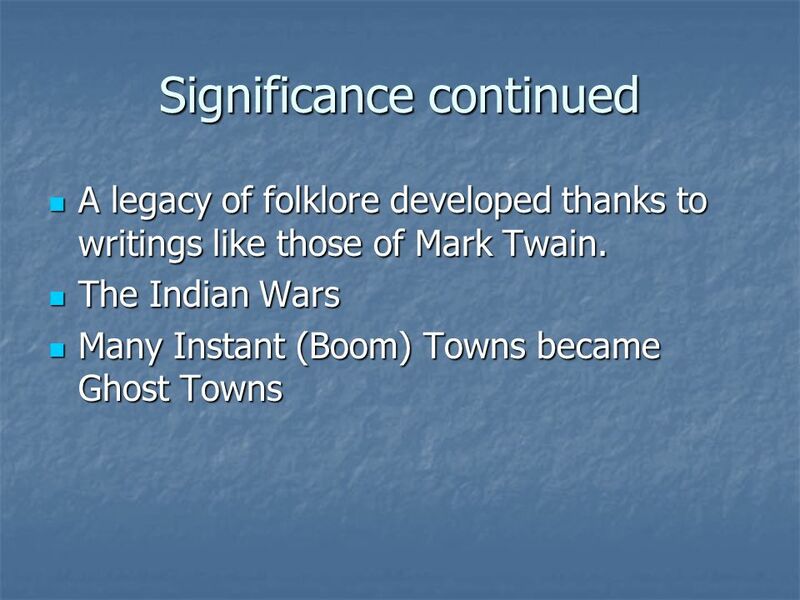 Result: The development of towns that appeared in many cases almost overnight. 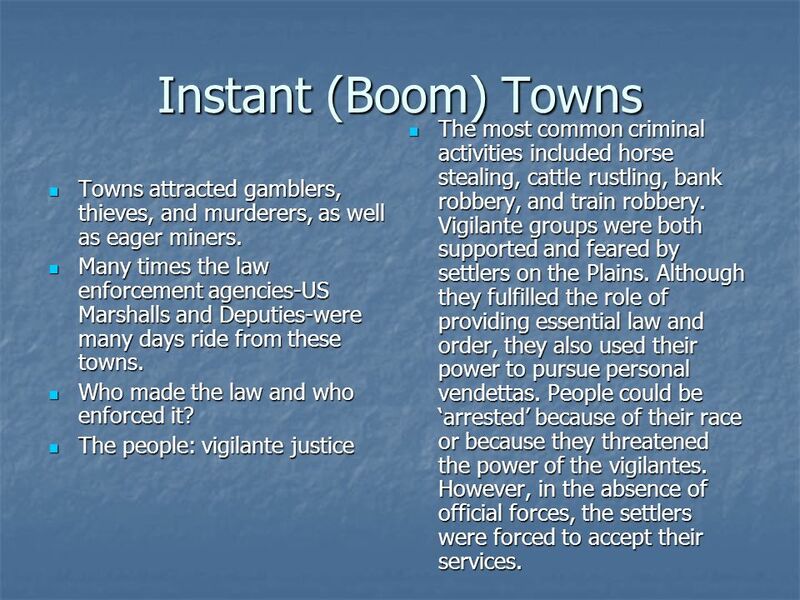 These became known as instant towns. For example in 1858, the “Pike’s Peak or Bust” emigration led to 25,000 people moving without verification of any gold or silver. This was all part of a reaction to the “Gold Rush” from 1849. 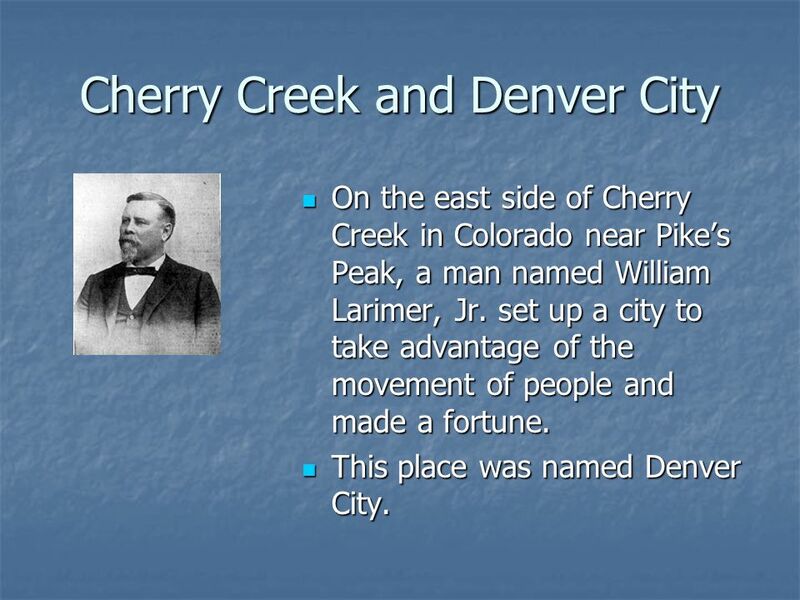 On the east side of Cherry Creek in Colorado near Pike’s Peak, a man named William Larimer, Jr. set up a city to take advantage of the movement of people and made a fortune. This place was named Denver City. 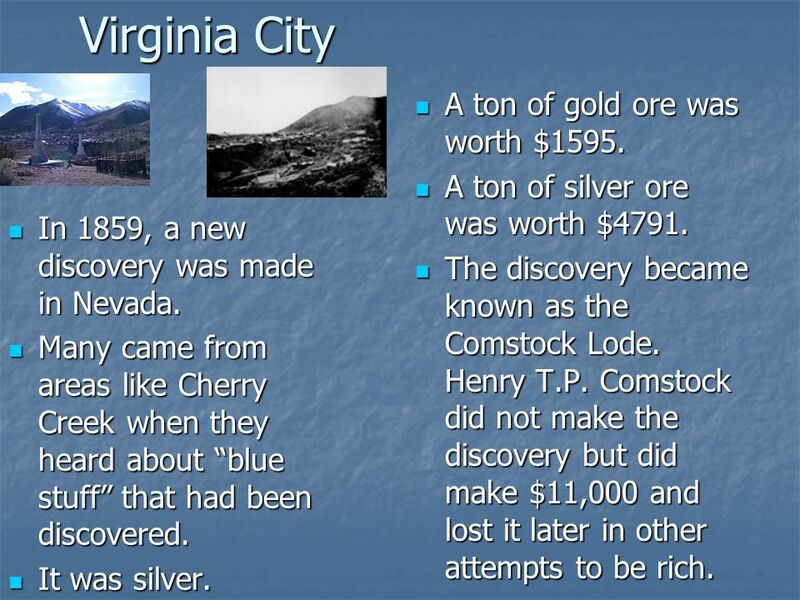 5 Virginia City A ton of gold ore was worth $1595. A ton of silver ore was worth $4791. 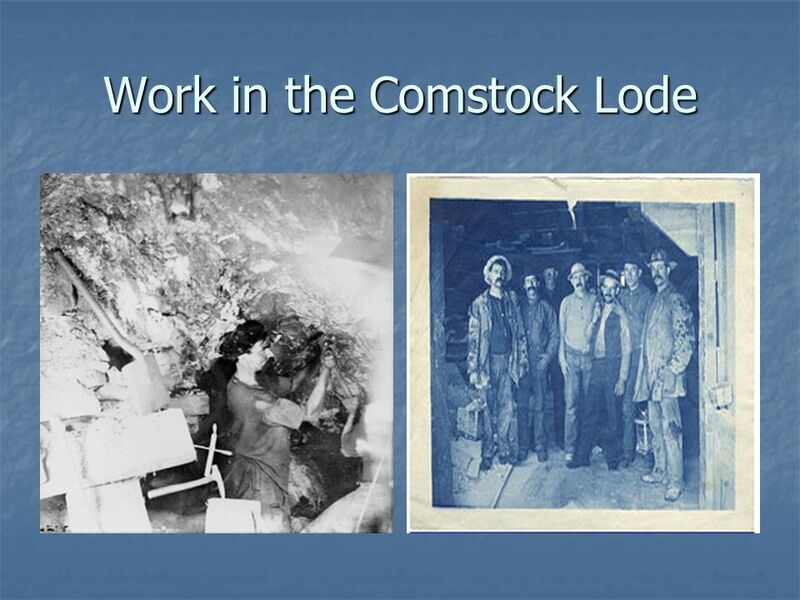 The discovery became known as the Comstock Lode. Henry T.P. Comstock did not make the discovery but did make $11,000 and lost it later in other attempts to be rich. In 1859, a new discovery was made in Nevada. Many came from areas like Cherry Creek when they heard about “blue stuff” that had been discovered. It was silver. 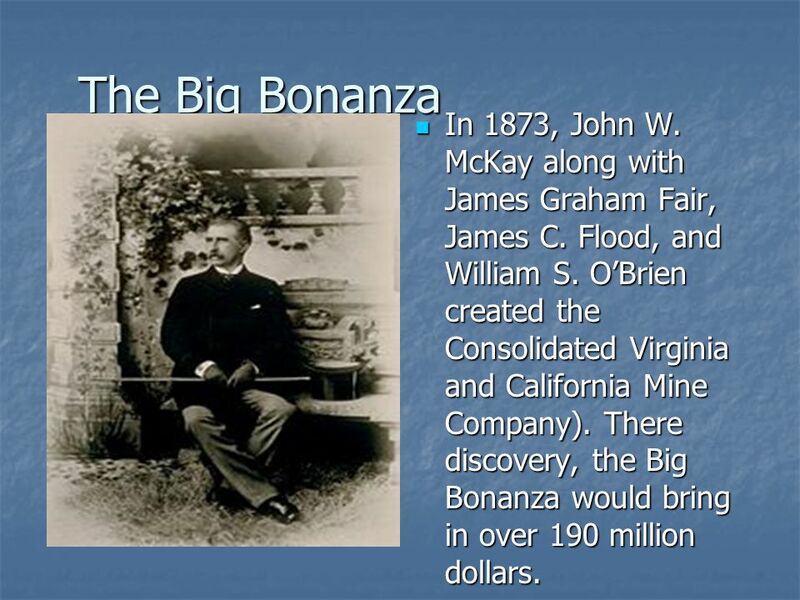 7 The Big Bonanza In 1873, John W. McKay along with James Graham Fair, James C. Flood, and William S. O’Brien created the Consolidated Virginia and California Mine Company). There discovery, the Big Bonanza would bring in over 190 million dollars. 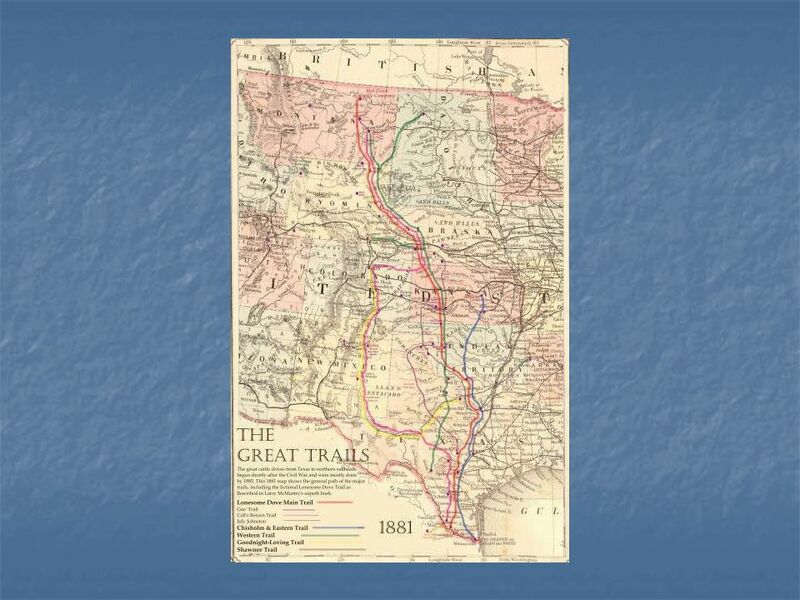 10 With the development of the railroads across the Great Plains, beginning with the completion of the Transcontinental Railroad in 1869, the federal and state governments were able to enforce the law more effectively, although there were still problems. Federal officials were appointed for every state by the US government in Washington, DC, and each territory and state was given a clear legal framework. The US government, in the person of the president, appointed a US marshal for each territory or state. The work of the US marshal was extremely difficult, as he was responsible for enforcing the law over a vast area - communications were limited and transport slow. 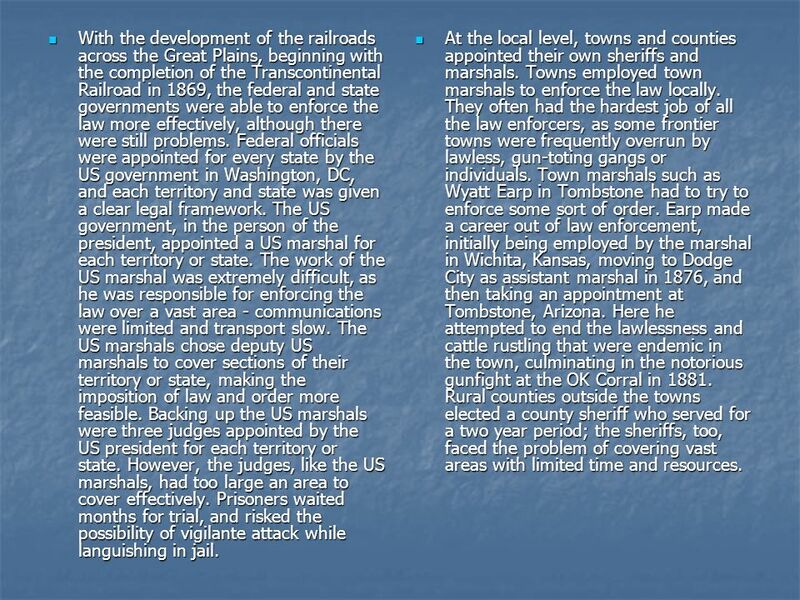 The US marshals chose deputy US marshals to cover sections of their territory or state, making the imposition of law and order more feasible. Backing up the US marshals were three judges appointed by the US president for each territory or state. However, the judges, like the US marshals, had too large an area to cover effectively. Prisoners waited months for trial, and risked the possibility of vigilante attack while languishing in jail. At the local level, towns and counties appointed their own sheriffs and marshals. Towns employed town marshals to enforce the law locally. 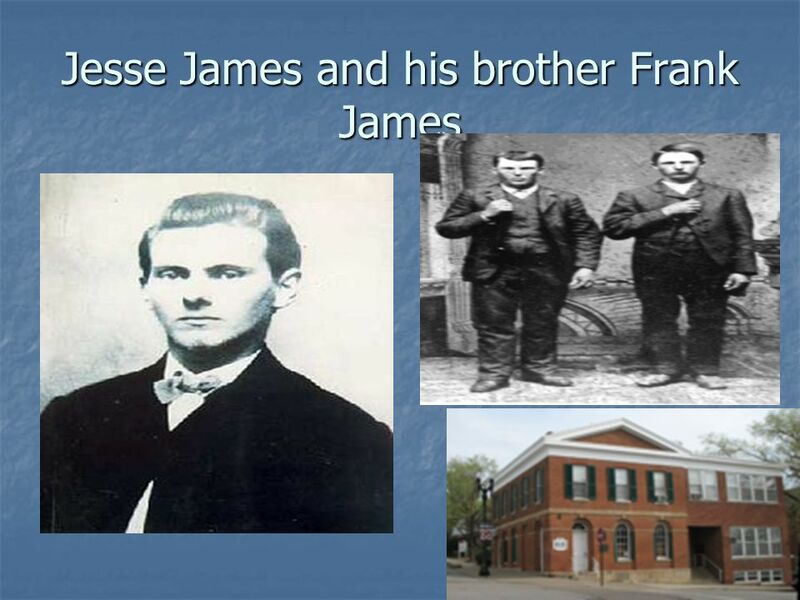 They often had the hardest job of all the law enforcers, as some frontier towns were frequently overrun by lawless, gun-toting gangs or individuals. Town marshals such as Wyatt Earp in Tombstone had to try to enforce some sort of order. 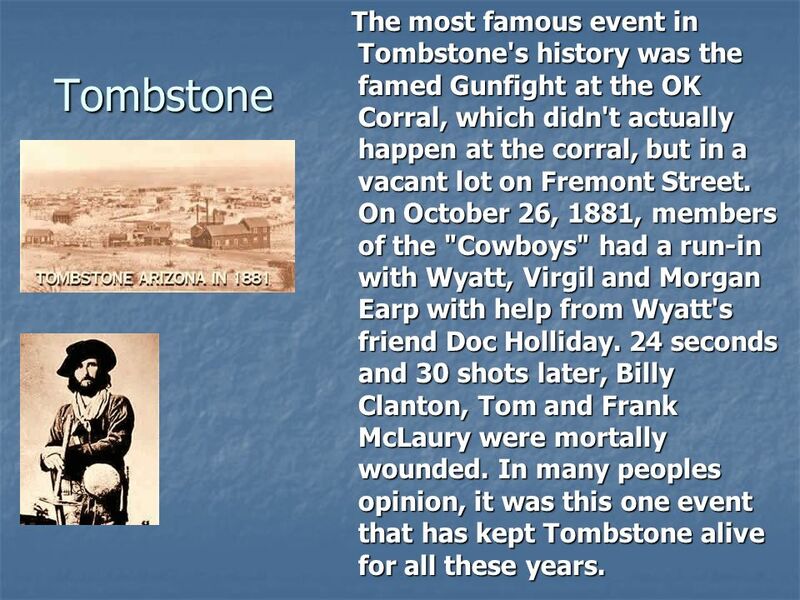 Earp made a career out of law enforcement, initially being employed by the marshal in Wichita, Kansas, moving to Dodge City as assistant marshal in 1876, and then taking an appointment at Tombstone, Arizona. Here he attempted to end the lawlessness and cattle rustling that were endemic in the town, culminating in the notorious gunfight at the OK Corral in Rural counties outside the towns elected a county sheriff who served for a two year period; the sheriffs, too, faced the problem of covering vast areas with limited time and resources. 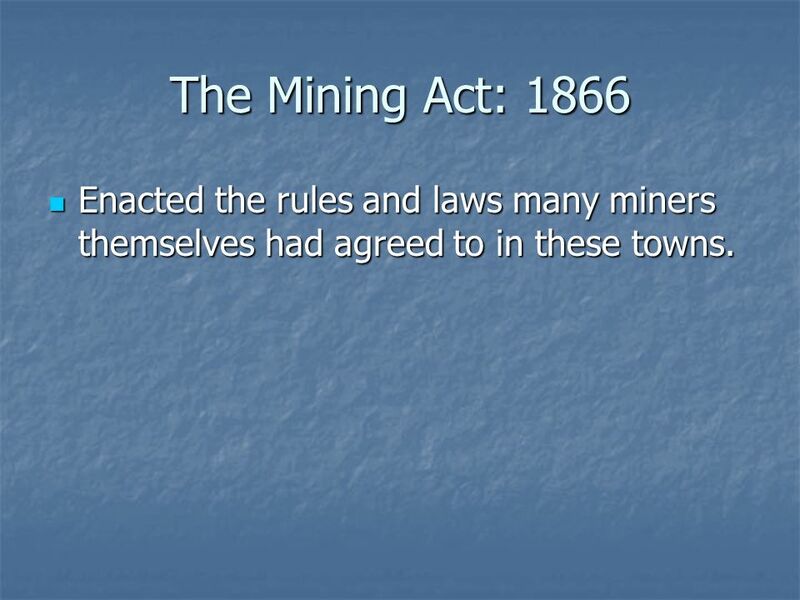 13 The Mining Act: 1866 Enacted the rules and laws many miners themselves had agreed to in these towns. 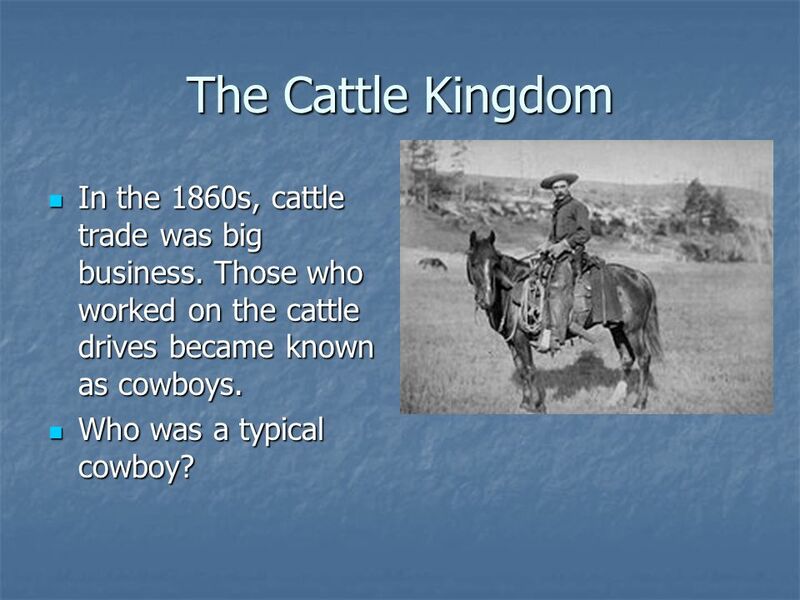 17 The Cattle Kingdom In the 1860s, cattle trade was big business. 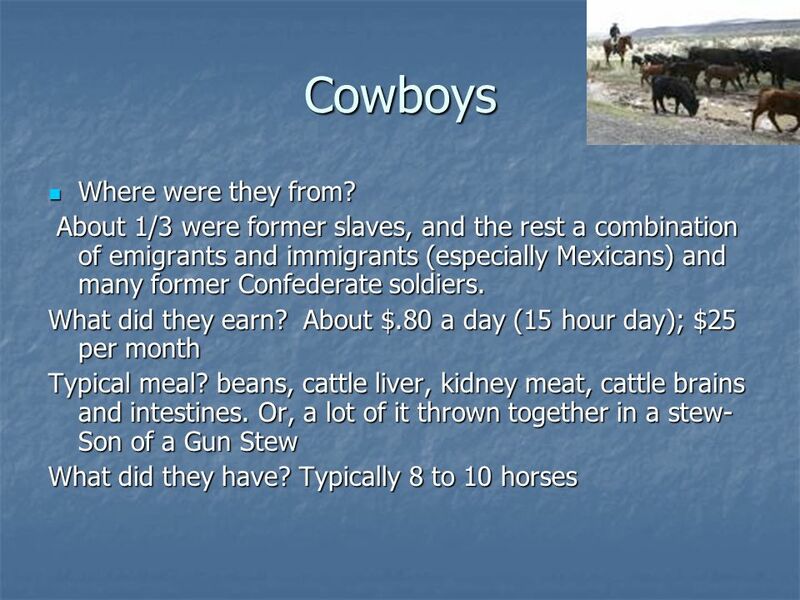 Those who worked on the cattle drives became known as cowboys. Who was a typical cowboy? 18 Cowboys Where were they from? 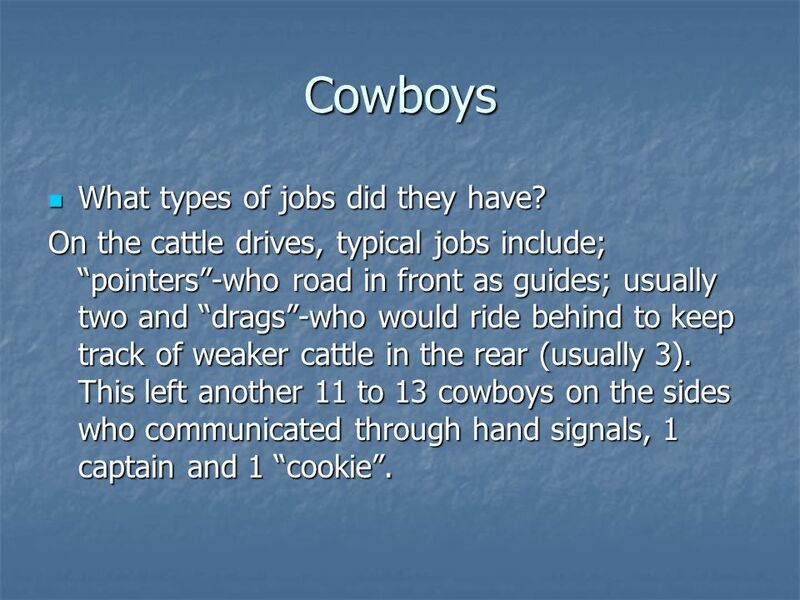 19 Cowboys What types of jobs did they have? On the cattle drives, typical jobs include; “pointers”-who road in front as guides; usually two and “drags”-who would ride behind to keep track of weaker cattle in the rear (usually 3). This left another 11 to 13 cowboys on the sides who communicated through hand signals, 1 captain and 1 “cookie”. 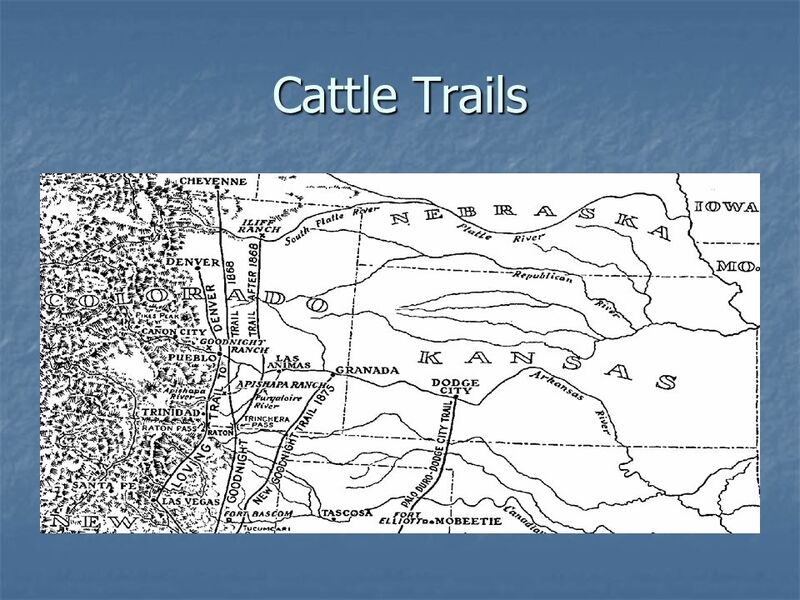 Cattle drives typically included over 3000 head of cattle over 2 to 4 months and hundreds of miles. 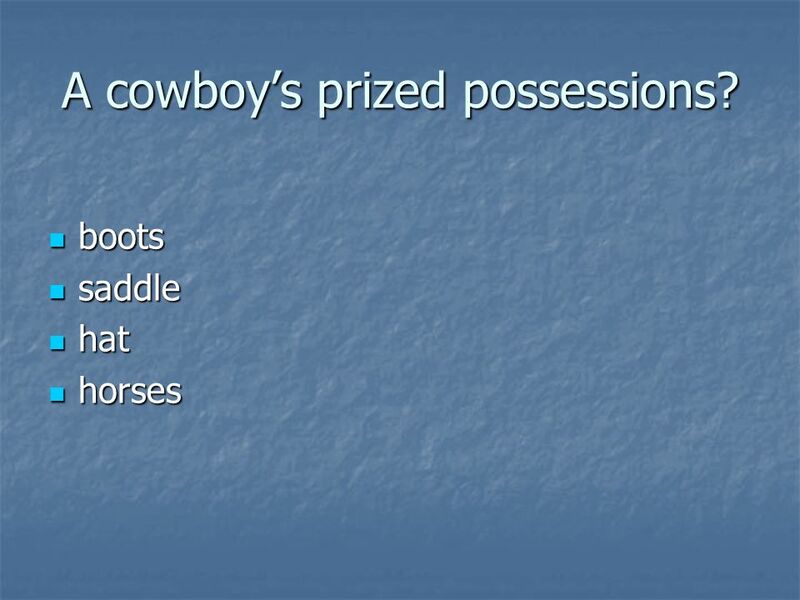 21 A cowboy’s prized possessions? 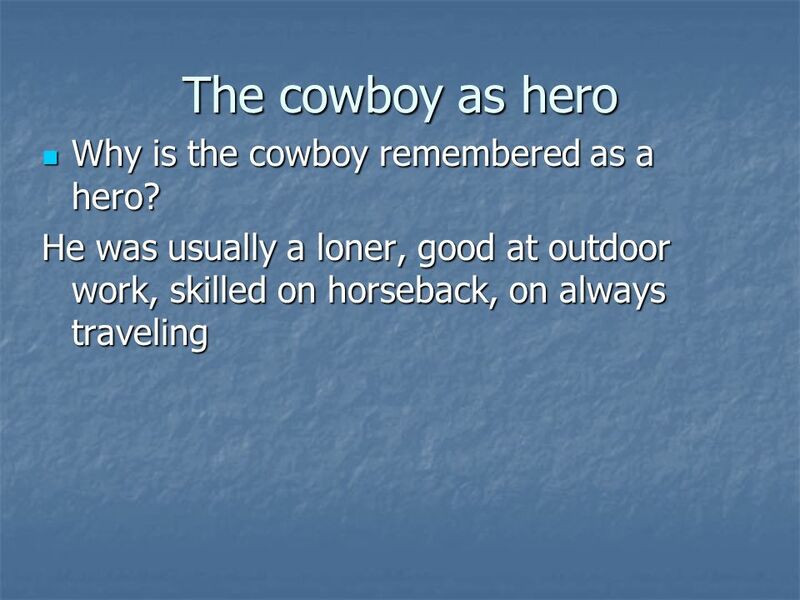 22 The cowboy as hero Why is the cowboy remembered as a hero? 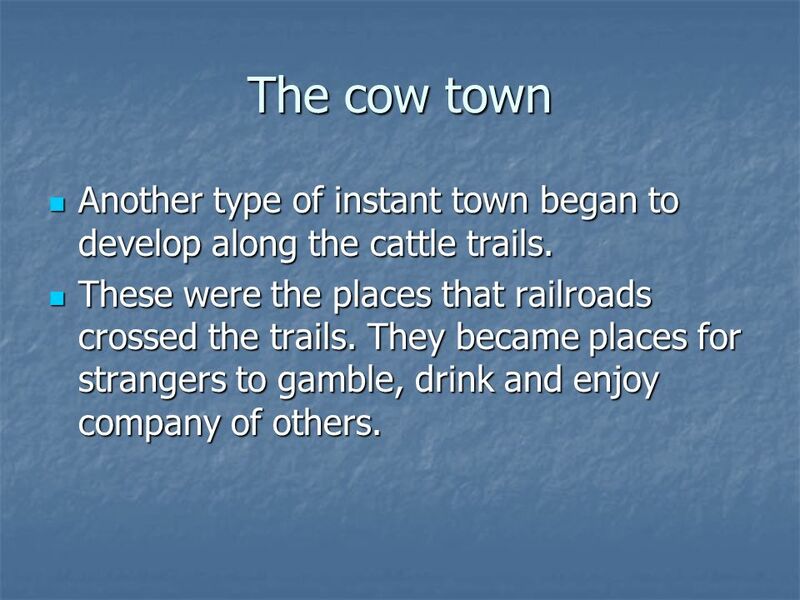 26 The cow town Another type of instant town began to develop along the cattle trails. These were the places that railroads crossed the trails. They became places for strangers to gamble, drink and enjoy company of others. 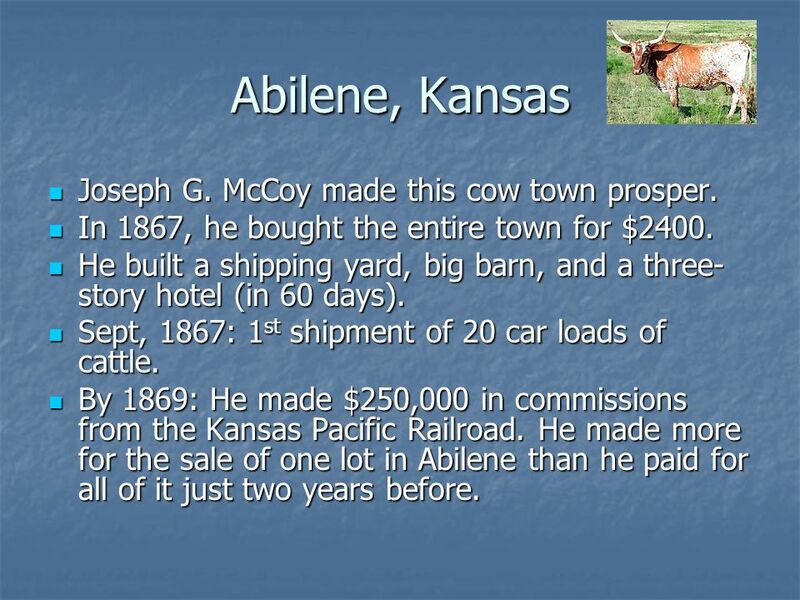 27 Abilene, Kansas Joseph G. McCoy made this cow town prosper. 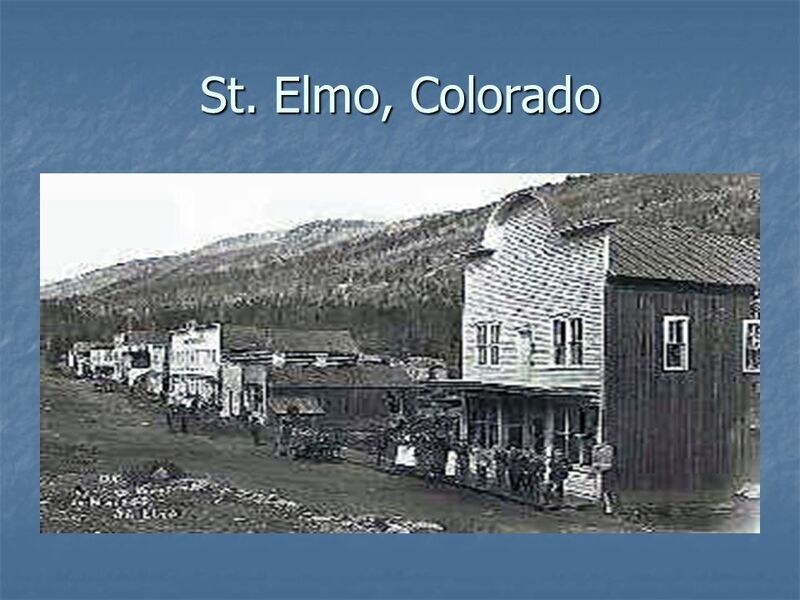 In 1867, he bought the entire town for $2400. He built a shipping yard, big barn, and a three-story hotel (in 60 days). Sept, 1867: 1st shipment of 20 car loads of cattle. By 1869: He made $250,000 in commissions from the Kansas Pacific Railroad. He made more for the sale of one lot in Abilene than he paid for all of it just two years before. 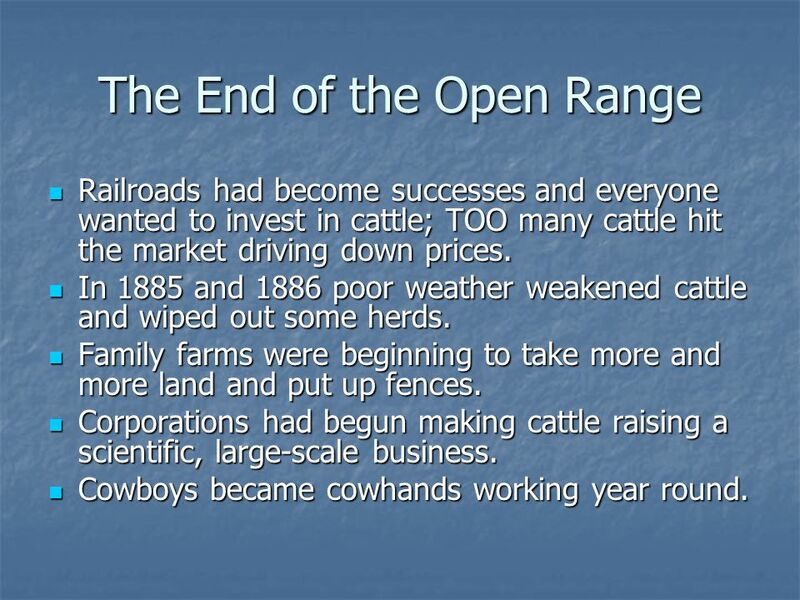 Railroads had become successes and everyone wanted to invest in cattle; TOO many cattle hit the market driving down prices. In 1885 and 1886 poor weather weakened cattle and wiped out some herds. Family farms were beginning to take more and more land and put up fences. Corporations had begun making cattle raising a scientific, large-scale business. Cowboys became cowhands working year round. 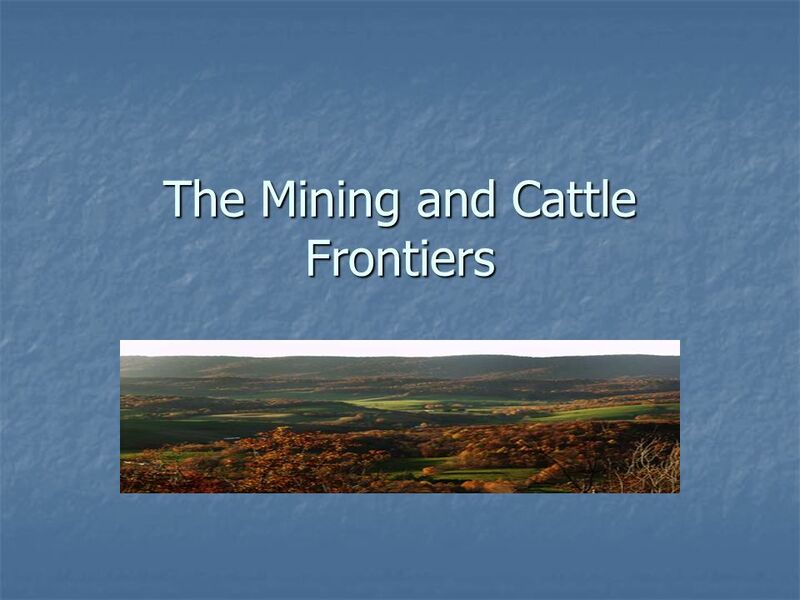 Download ppt "The Mining and Cattle Frontiers"
Steel Rails and Mud Streets Ch. 7. Notebook Stuff TP-Steel Rails and Mud Streets CM & pages Geo- Map of Kansas: labeling all cattle and. The West Mining and the Railroads Old Time Miner w/pan. Miners and Ranchers. Know the following names/terms/places: placer mining, quartz mining, Henry Comstock, vigilance committees, Leadville, Denver, long. Settling the West Section 1: Miners and Ranchers. Cattle Kingdoms : Sec. 2. Cattle  Texas Longhorns resulted from Spanish cows bred with Anglo cows.  Spanish vaqueros (cowboys) used a lariat to round. There’s gold in them thar hills! Equipment like picks, shovels and pans were used in Placer Mining Panning for Gold Placer Mining was used to extract. 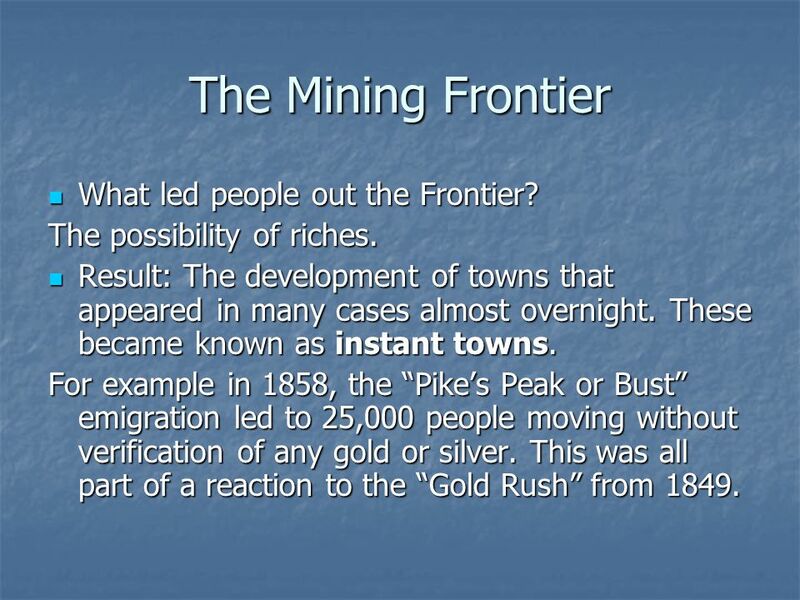 The Mining Booms Ch Gold, Silver, Boomtowns  1858  More gold discovered in the west (Pike’s Peak)  1859  50,000 prospectors headed to Colorado. Mining and Railroading Gold and Silver Boom, Problems with Mining, the Railroad. TOMBSTONE. 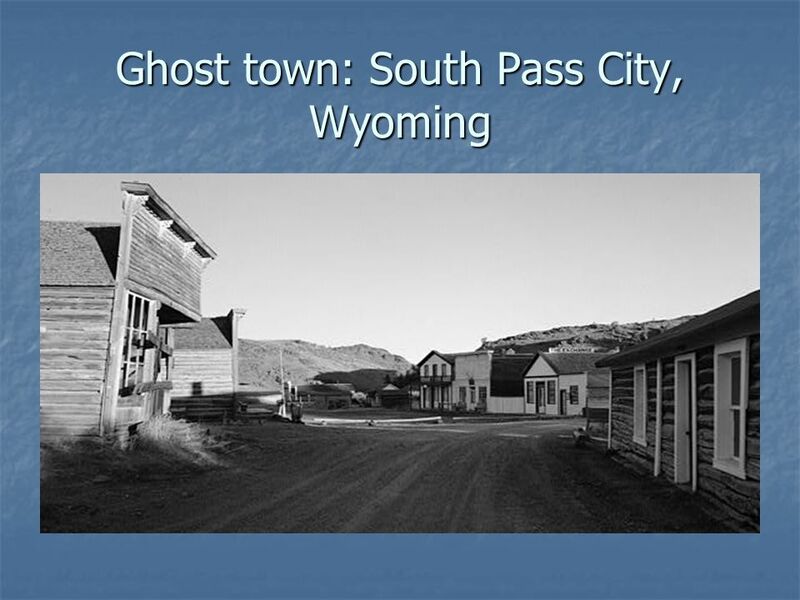 TOMBSTONE FOUNDED BY ED SCHIEFFELIN TOWN CREATED B/C SILVER WAS FOUND NEARBY TOWN WAS KNOWN FOR ITS SALOONS AND GAMBLING HOUSES. 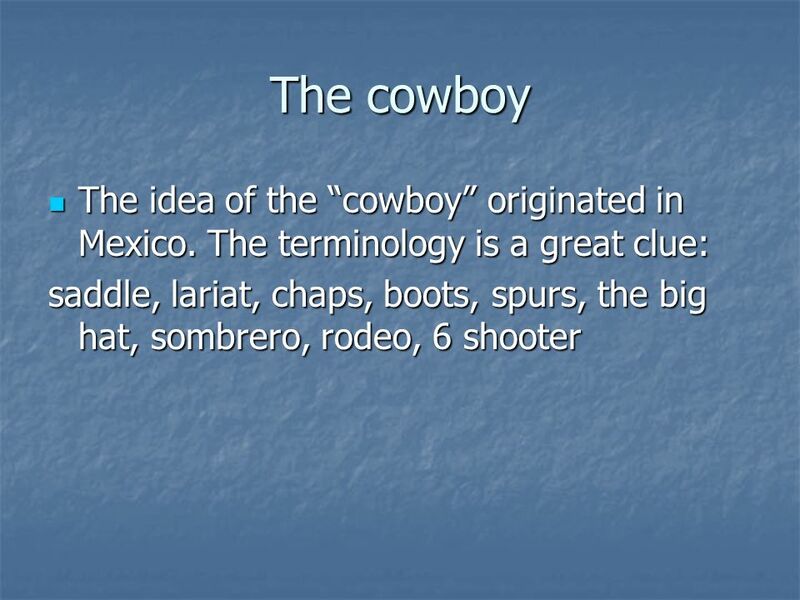 TAKE OUT YOUR SPIRAL NOTEBOOKS WRITE: THE COWBOY WARMUP: 10/9 What comes to your mind when you hear the word, “COWBOY”? 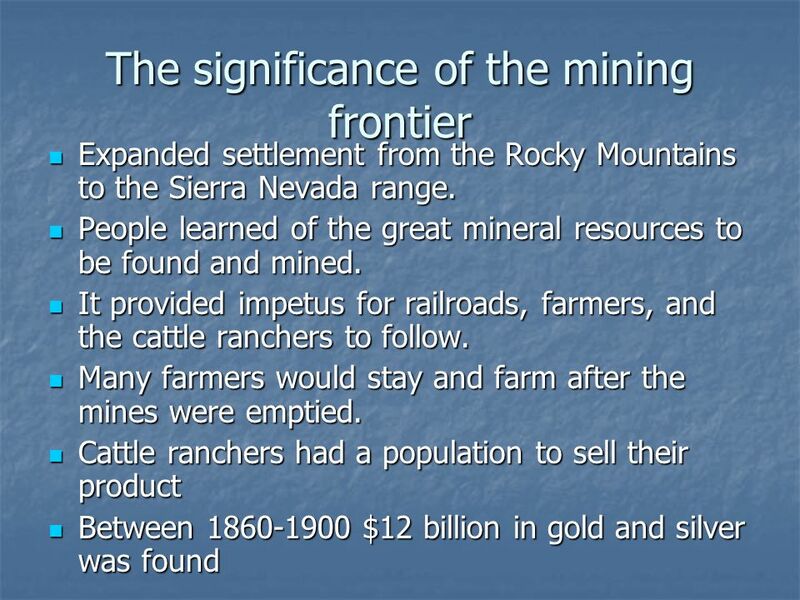 32.1 Mining, Railroads, and Cattle Rush Main Idea Mining, railroads, and the cattle industry increased the population of the West, all seeking economic. 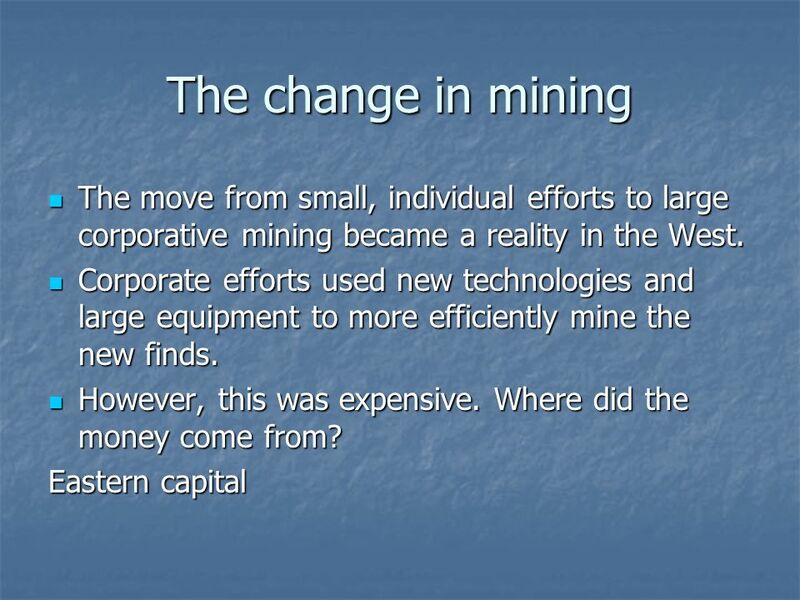 The Mining Industry Growing industries in the East needed the resources of the West. Settlers move to the West’s mountain states to find these riches. Growth of the Mining Industry Click the mouse button to display the information. The growing industries in the East needed the West’s rich deposits of. Focus Questions What led to the cattle boom? What was life like for cowboys? What caused the decline of the Cattle Kingdom?